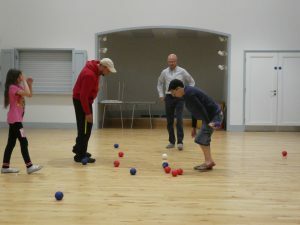 Posted on June 8, 2018 Categories BocciaLeave a comment on Boccia – It's my favourite ! 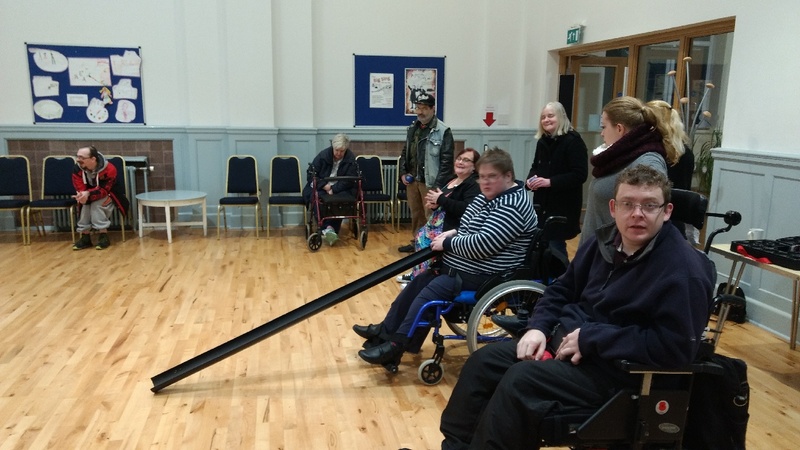 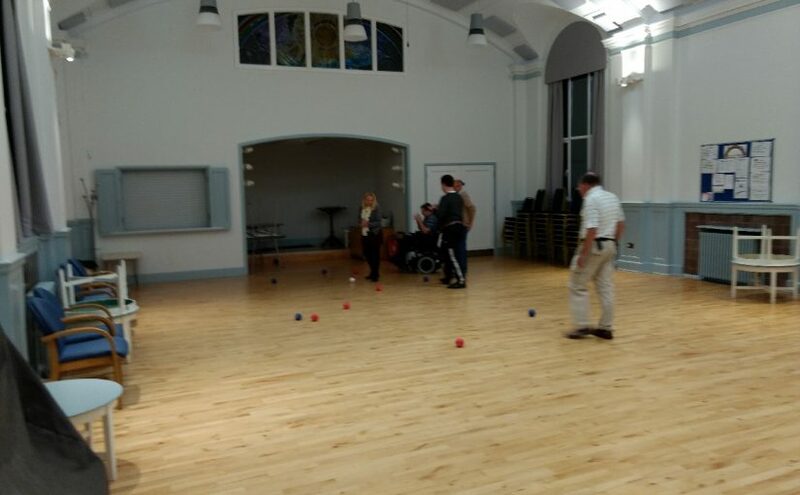 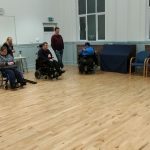 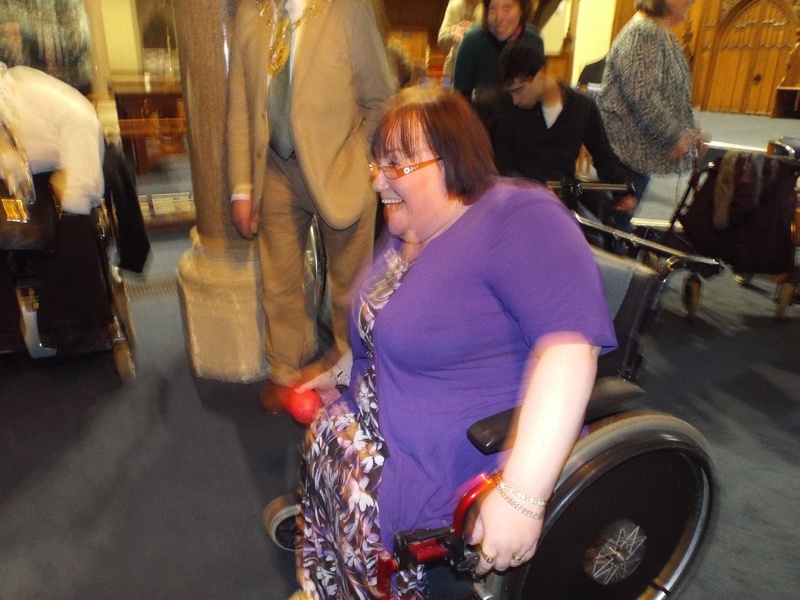 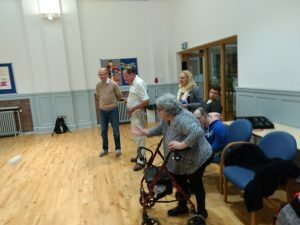 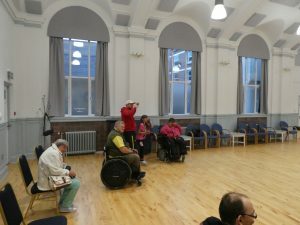 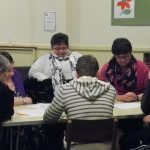 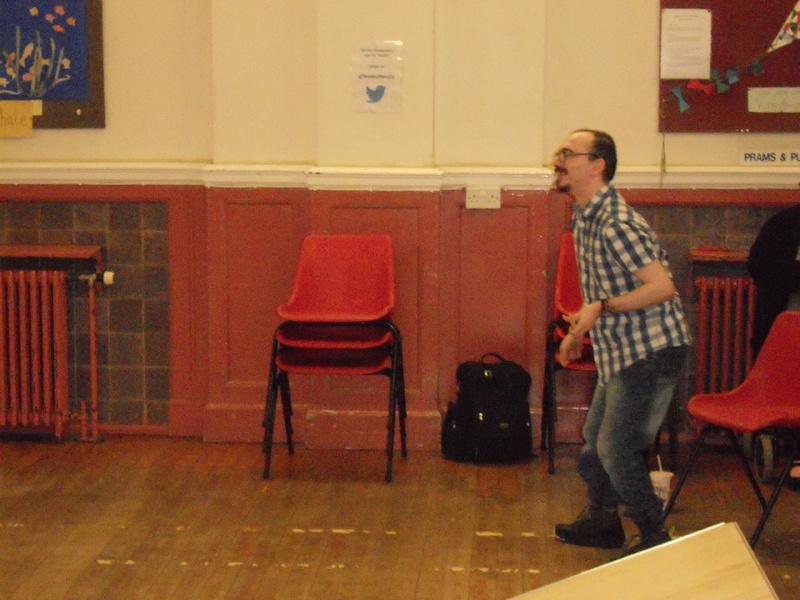 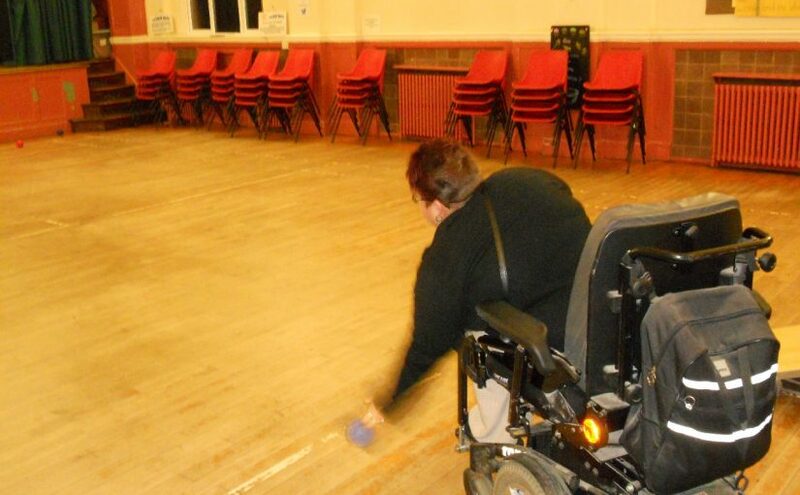 We livened up our normal club meeting with a game of Boccia in the Hall at Wesley Memorial Church. 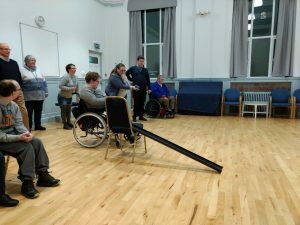 Our custom made Boccia ramp ( a piece of guttering) is visible in the foreground. 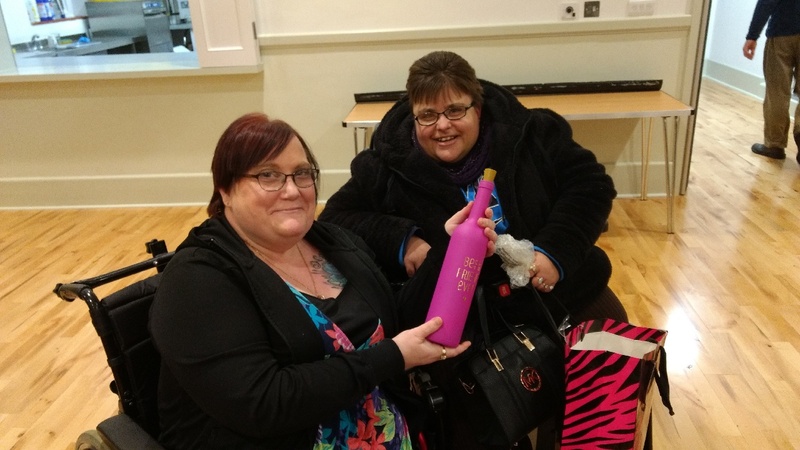 Boccia – but not as we know it ! 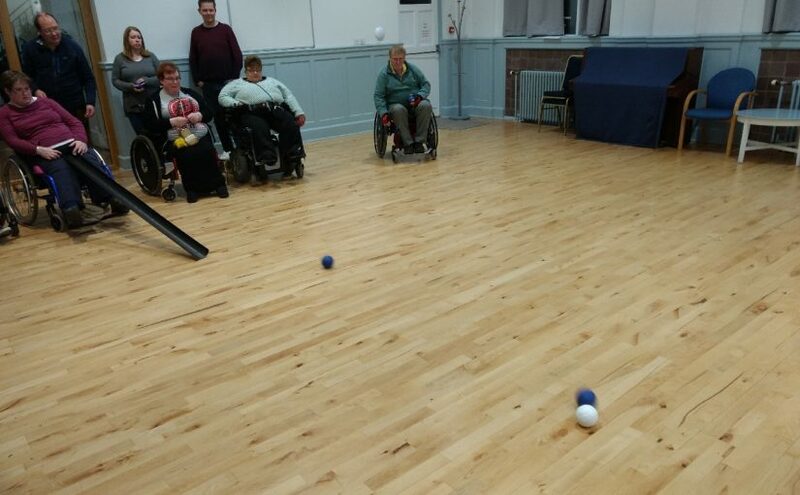 Normally our games of Boccia are pretty similar to anyone else’s, but this is something you don’t see in the Paralympics. 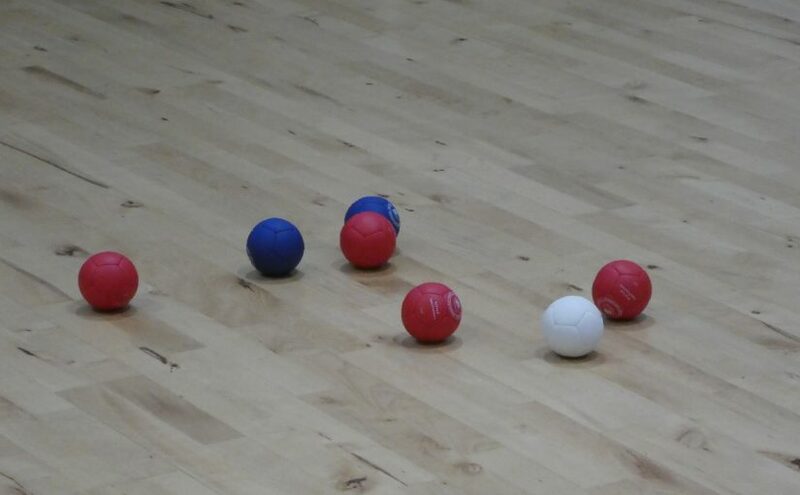 The red ball is on top of the white ! 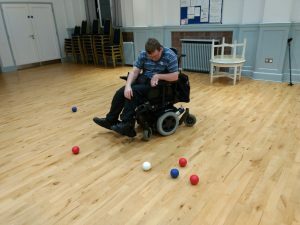 Posted on March 10, 2017 Categories BocciaLeave a comment on Boccia – but not as we know it ! 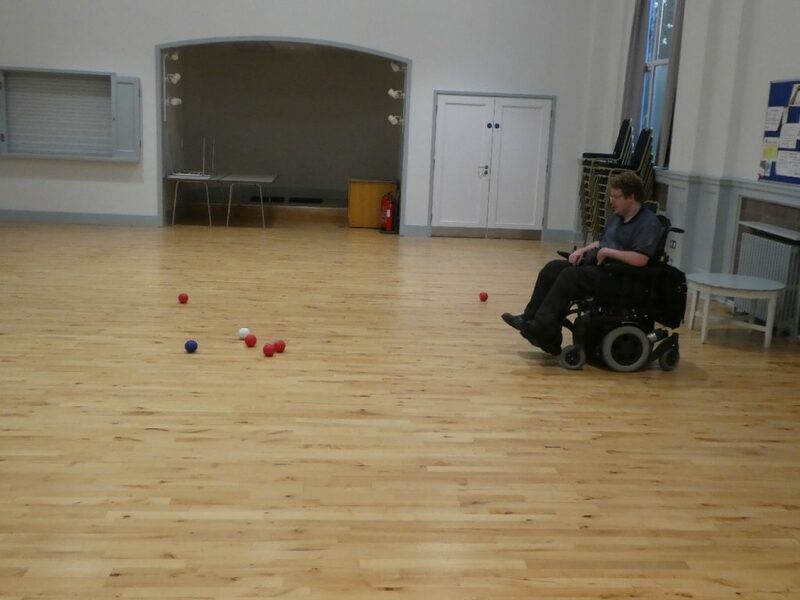 we played Boccia in the Hall. This is the first time we used our new Boccia ramp (a piece of guttering). 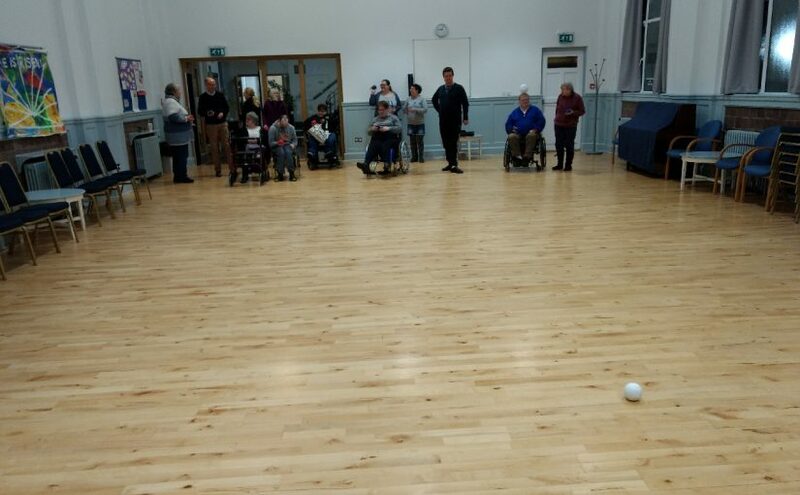 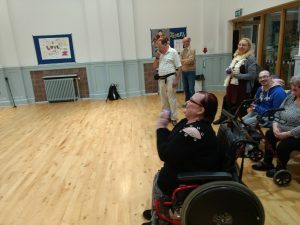 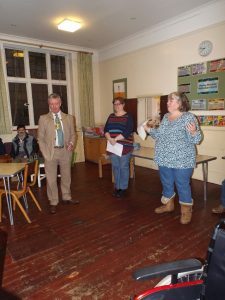 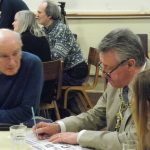 The Lord Mayor of Oxford, Councillor Rae Humberestone, visited Oxford Phab to meet the members (several of whom he knew already) and take part in a quiz, with a baked potato supper and a game of Boccia. 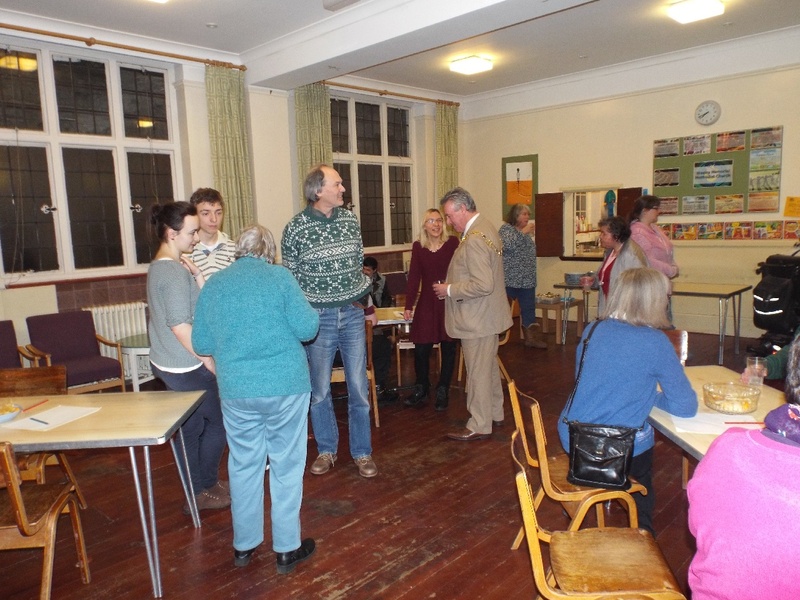 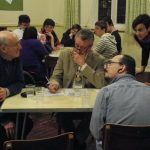 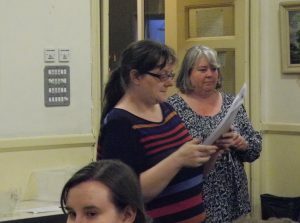 We were joined by visitors from Wesley Memorial Church, in particular from the Open Doors project and the John Wesley Society, which made it a particularly enjoyable evening. Mary and Helen welcoming the Lord Mayor. 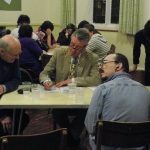 Some of the other teams, hard at work. 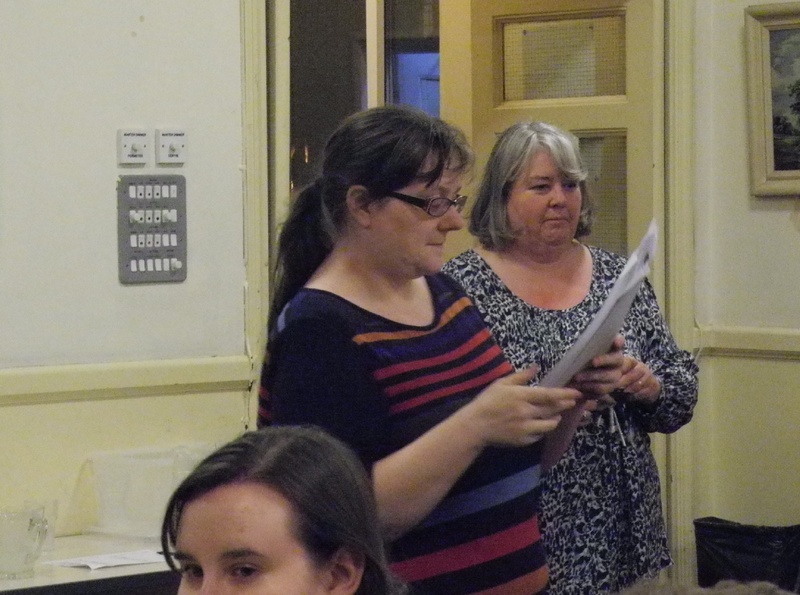 Helen reading out the questions. 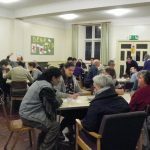 After the quiz we ate a meal of jacket potatoes with savoury mince, tuna, cheese or baked beans, followed by tea or coffee. 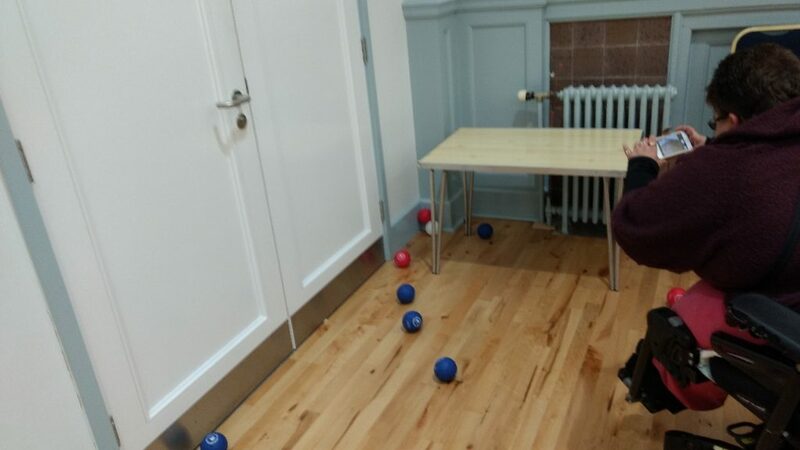 We moved through into the church, where there was more space for a game of Boccia. 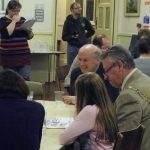 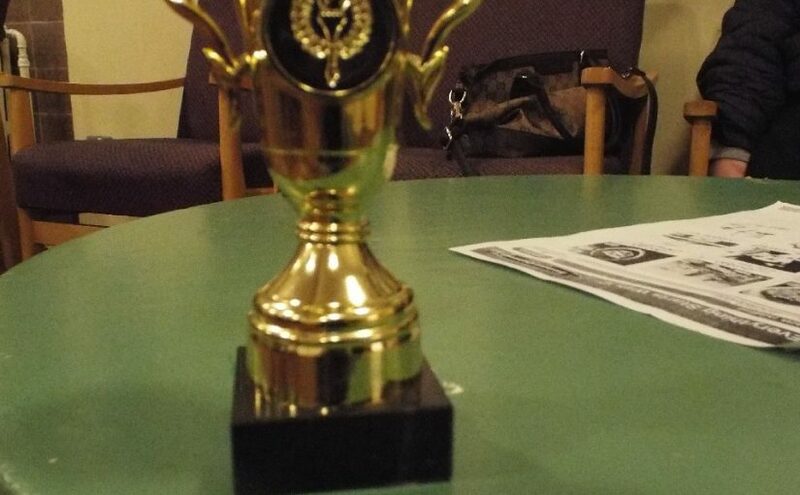 The Mayor bowled well, but his team did not quite catch up with the lead the General Ignorance team had built up in the quiz. At the end of the evening the Lord Mayor presented The Lord Mayor’s Challenge Cup to some members of the winning team. 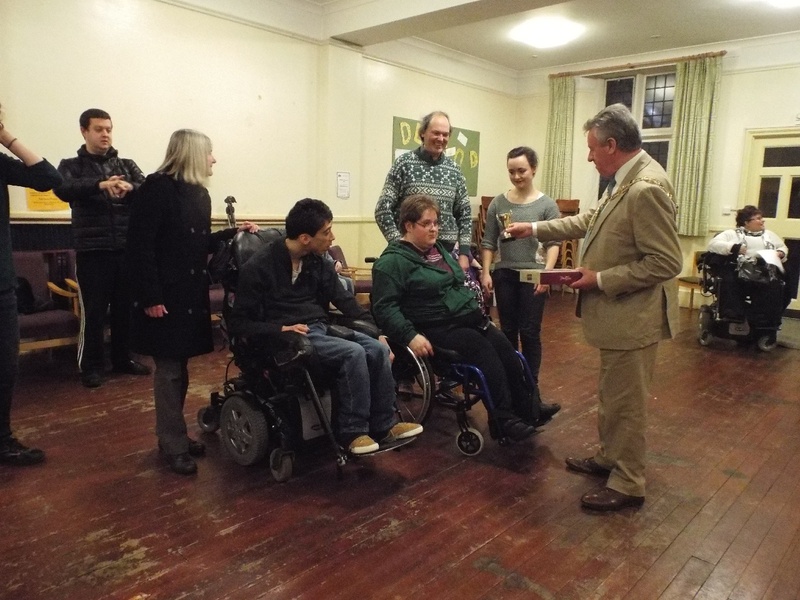 There were also chocolates which were shared with anyone who wanted one. 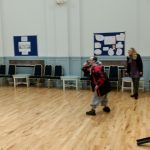 We had our last opportunity to play Boccia in the Hall at Wesley Memorial before work starts on the room as part of the Open Doors regeneration. 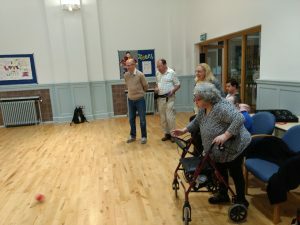 Hopefully this will sort out the floor, as my ball kept drifting away from where I bowled it – though this did not seem to affect the other bowlers ! 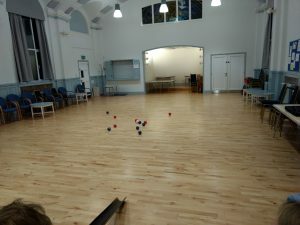 Just after another good bowl.